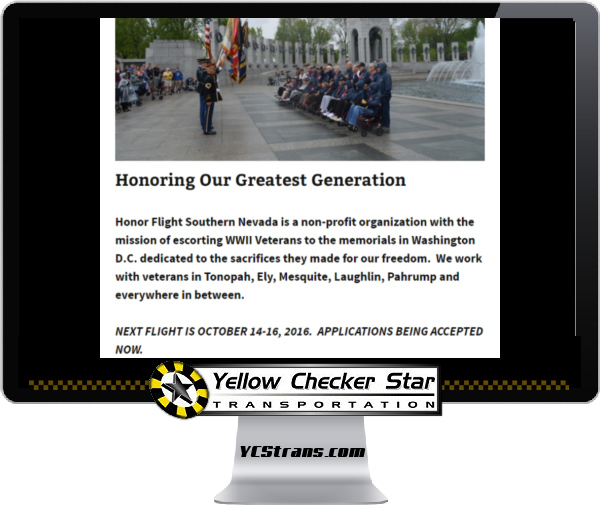 Honor Flight Southern Nevada is a non-profit organization with the mission of escorting WWII Veterans to the memorials in Washington D.C. dedicated to the sacrifices they made for our freedom. 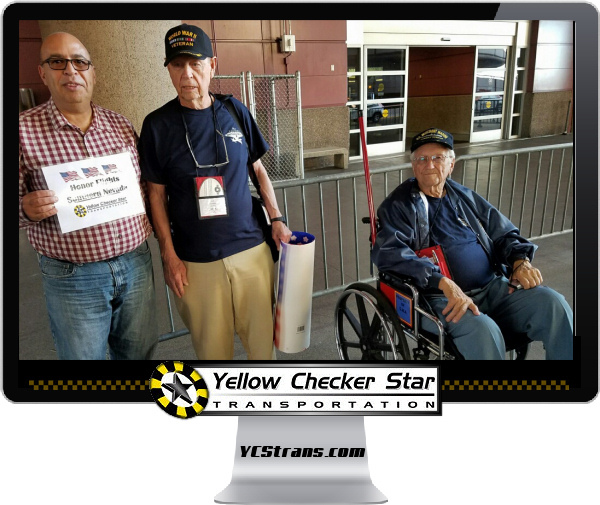 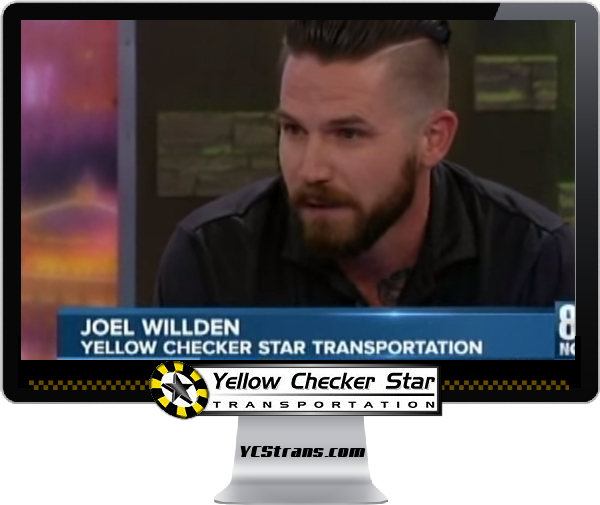 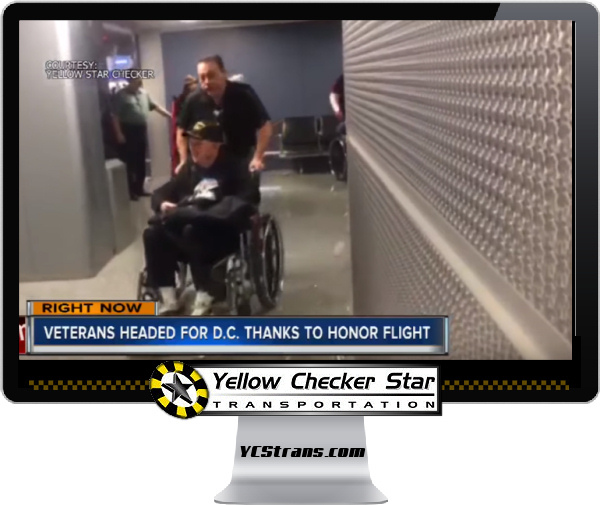 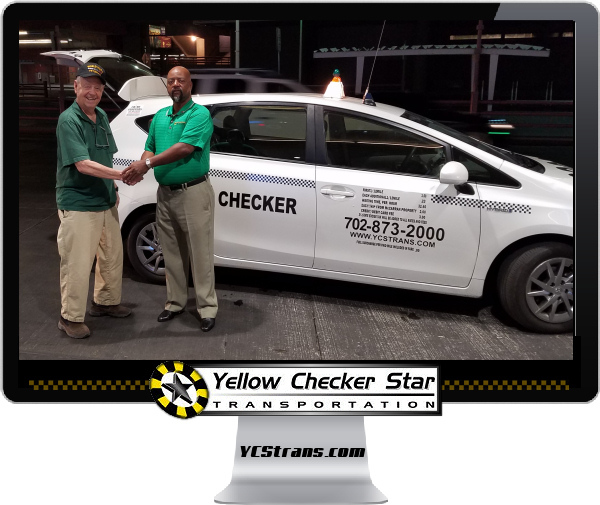 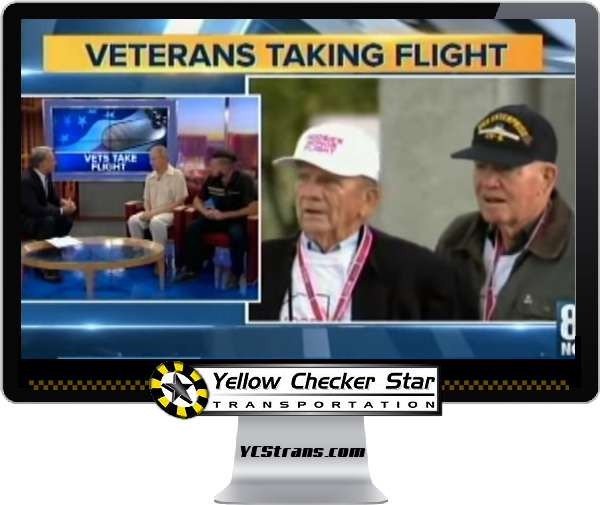 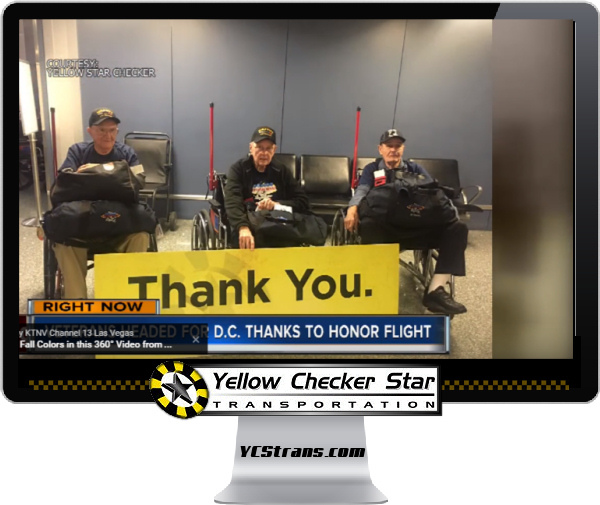 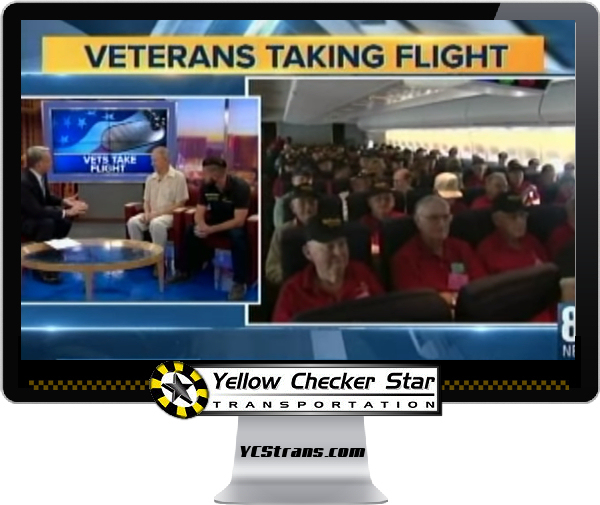 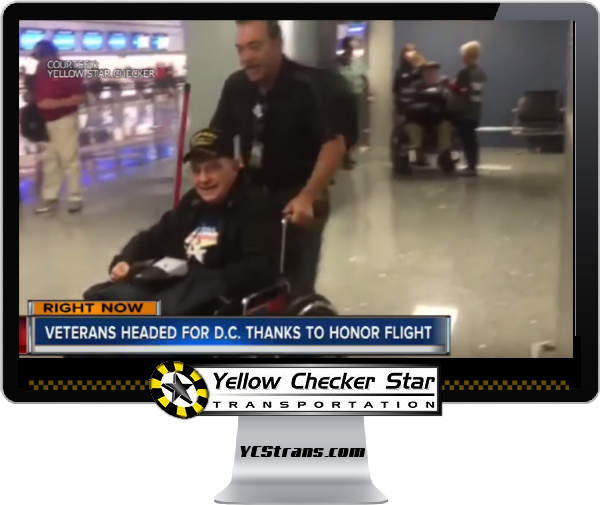 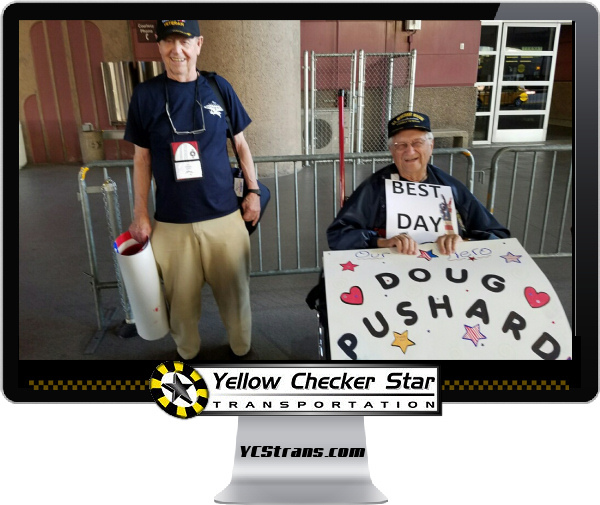 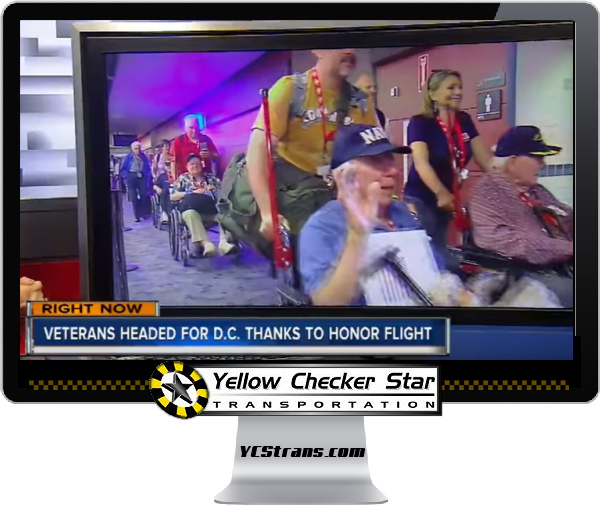 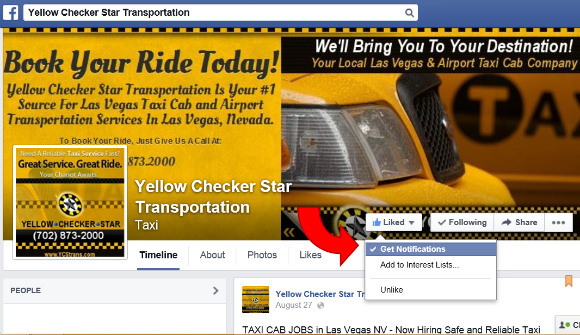 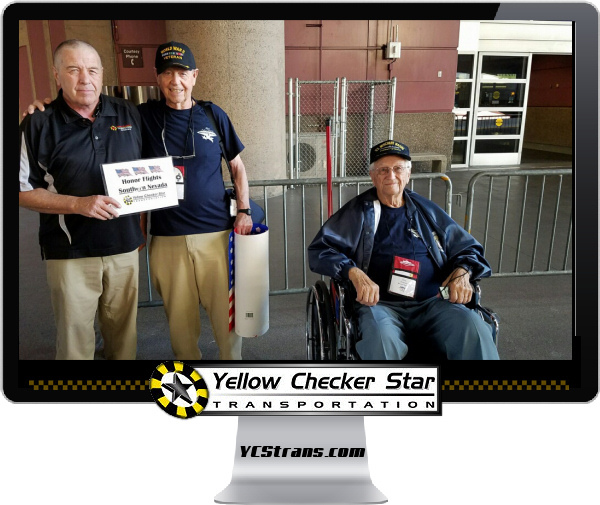 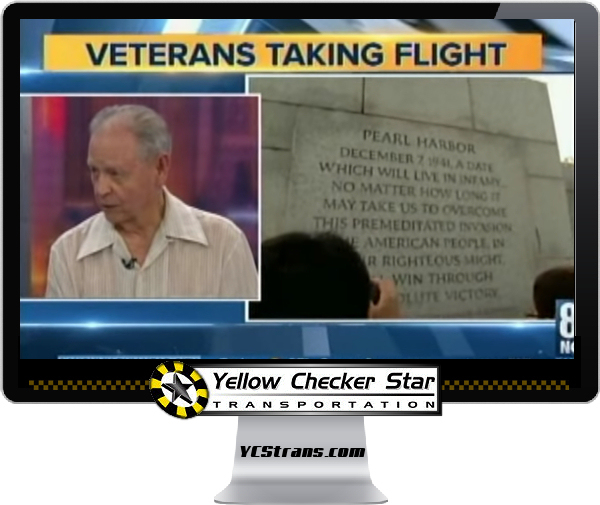 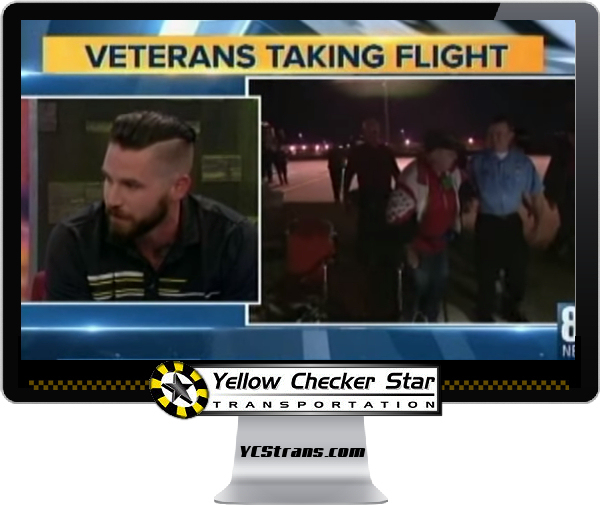 Yellow Checker Star is a leading taxicab company in Las Vegas and has been partnering with Honor Flights of Southern Nevada since October 2015 providing taxi cab services for Vets to and from McCarren Airport. 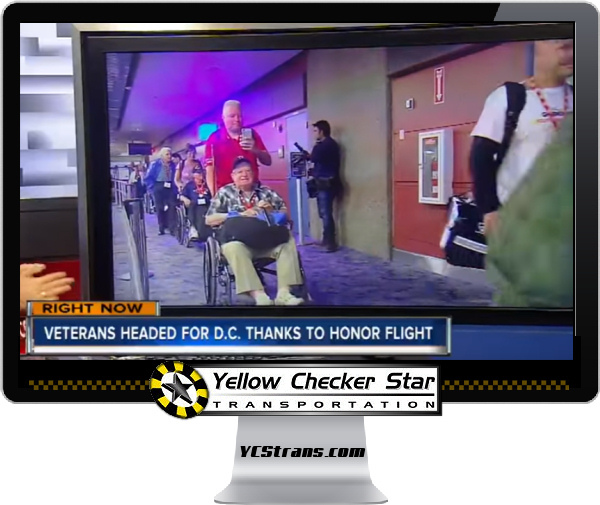 NEWS: Channel 13 News Article: Local Veterans Traveling to Washington D.C.